Denis Suarez is in the Arsenal squad that traveled to Belarus to face BATE Borisov. The Arsenal fans want to see more of him on the pitch. Arsenal completed the signing of Denis Suarez on deadline day of the January transfer window but he is yet to be selected in the starting eleven because Unai Emery wants to slowly integrate him into the squad. The gunners will today face BATE Borisov and Denis Suarez was in the squad that traveled to Belarus for this game. Denis Suarez got his debut a few weeks back when the gunners lost 3-1 to Manchester City at the Etihad Stadium and he was also given about 20 minutes in their 2-1 win against Huddersfield Town on Saturday. The Arsenal fans believe that Unai Emery should start playing him since his loan deal will expire at the end of the season, hence him going back to Barcelona if the gunners don’t use the option to buy. “Suarez’s adaptation is good but it needs time. He is okay to start being involved in the first XI but also to be in the bench so that later in the match he can play.” Unai Emery told Arsenal’s official website. 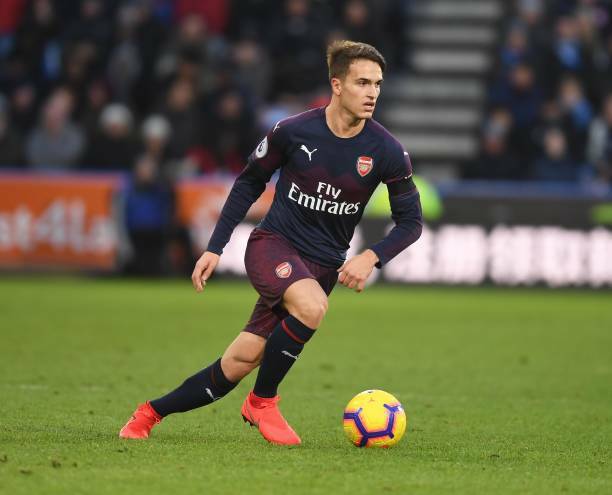 So it seems the Arsenal fans might have to wait a bit longer to see Denis Suarez get his first start but the most obvious match that will give him his first start will probably be against BATE Borisov at home next week.